We Meet: We sit and chat about what your vision is for your project. Design Session: We dive into your project, We fine tune the branding, expectations, goals, design, and functionality. Scope of Work: We write out and agree on what we are going to do and what you are going to receive. 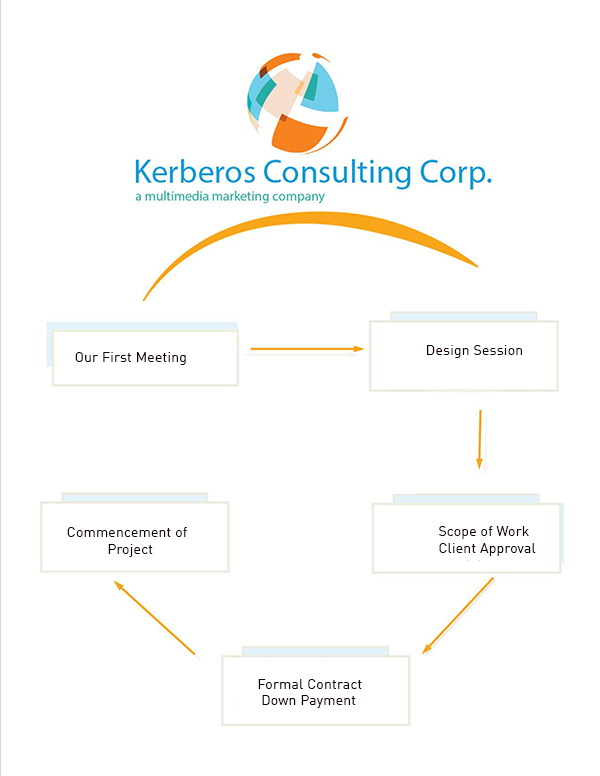 Formal Contract: We create a contract based upon we agreed to do. Commencement of Project: We get to work on your project.